Not so long ago, internet marketing was all about affiliates. It was one of the more effective ways to reach a mass audience, and brands could compete with one another through an affiliate publisher, or web portal, to increase exposure and drive sales. Now, ordinary individuals can gain massive reach through a single social channel. Brands that once relied on affiliates to promote their products online are turning to influencers to lend more legitimacy to their wares. Because of my background in affiliate marketing, I can say with confidence that influencer marketing is the new wave of affiliate marketing. The most engaging of influencers leverage the newest, most exciting technologies to provide a better experience for their audiences. It’s easy to see what I’m talking about just by looking at trends. 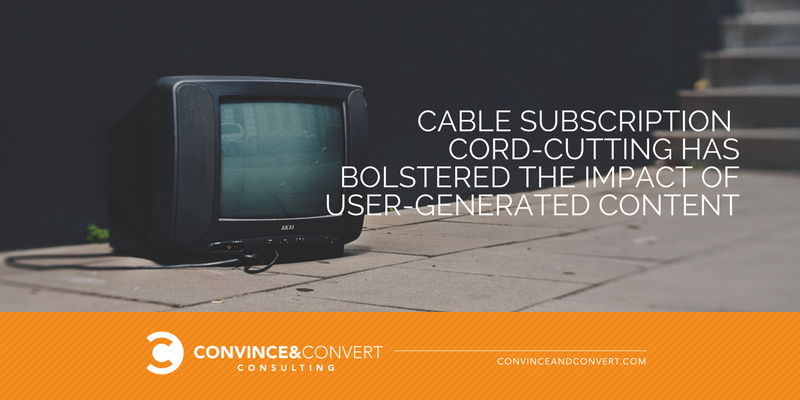 Consumers are “cutting the cord” from cable television, instead choosing to create their own viewing experiences from their phones, tablets, and computers. Those still tethered to the tube now have the ability to skip what they deem unnecessary and consume digital content whenever they want. Cord-cutting—and a growing skepticism about what brands say about themselves—has bolstered the impact of user-generated content, making celebrities (or microcelebrities) out of people with knacks for taking selfies and videos of themselves. The influencer marketing space will keep evolving, especially as people continue consuming digital content. Greater sophistication will emerge regarding the ways that brands customize their messaging and measure the impact of their marketing efforts—particularly through this new breed of media personality. Curated newsletters are growing in popularity. If you follow business influencers on platforms like Twitter or LinkedIn, you will most likely find them promoting an article in a newsletter. And if you like what you read, you’ll keep going back. Eventually, the authors of that content will become trusted sources of information, and what they say will have some sway over your thoughts. And when they start promoting a product or service, it just might become a viable purchasing decision. Newsletters and blog posts are nothing new, but what I’m getting at is the importance of thinking outside the box to reach your target audience. It’s becoming increasingly clear that traditional marketing methods are no longer enough to increase brand awareness. You need to lean on the people who have influence with your ideal customers. How do you use these influencers to your advantage? Keep these three strategies in mind. 1. Be selective in your choice of influencers. Influencer marketing is like any other form of marketing—at least when it comes to the basics. It’s essential to understand your audience members before you can reach them, let alone provide them with anything of value. Segment your target audience into personas based on their likes, interests, and hobbies. Then, find influencers who already appeal to those personas, rather than selecting influencers solely for their reach. Athletic shoe brand ASICS successfully targeted a variety of personas by harnessing influencers at different levels of expertise. To promote FrontRunners, its global health and fitness initiative, it sourced content from amateur, semi-professional, and professional runners. These influencers created profiles and blog pieces the brand used to target a wide range of readers, from those interested in distance running to those just in the market for a shoe. Relevance is, after all, the most important element in your relationship with any influencer. Reaching the right people requires choosing an influencer who shares the same target audience as your brand. 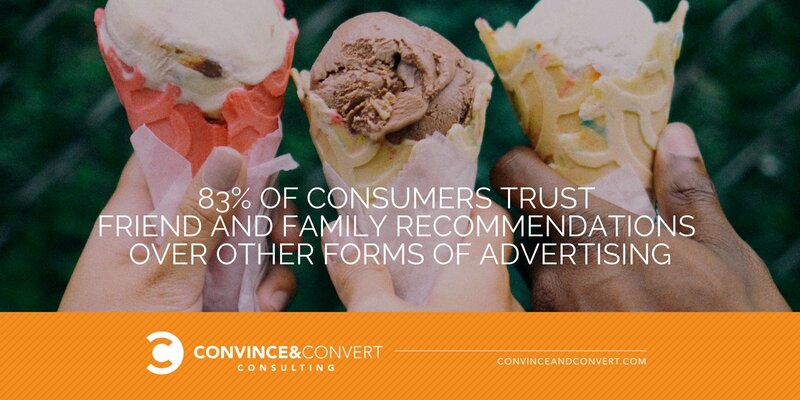 And with 83 percent of consumers trusting friend and family recommendations, it’s easy to tap a source that has authority over purchase decisions. Followers of influencers often regard their videos, photos, and other posts as endorsements from a trusted friend. 2. Go niche with your influence. Plenty of influencers reach millions of people, but partnering with them sometimes provides the same results as other “mass” marketing efforts: a big bang for few bucks—at least on the back end. Instead, try looking for influencers or channels with smaller followings. They often offer more engaged and devoted fan bases. They will also know their audiences well and communicate in ways that will generate responses. Sperry embraced this method when it elected to go smaller with a 2016 campaign that partnered with more than 100 Instagram micro-influencers. The boat shoe brand sought loyalists who were already sharing primo photos of the shoes via their personal Instagram accounts and asked the customers to create similarly alluring photos for Sperry’s own account. The approach had less to do with ROI and more to do with widening the brand’s social imprint, which can produce financial dividends in due time. Sperry saw what possibilities could arise from investing in niche influencers, like what Amazon did when it invested in the live-streaming video platform Twitch. Twitch viewers watch other people play video games. The platform currently has more than 100 million monthly visitors, with nearly half clocking more than 20 hours of viewing each week. Amazon saw so much potential in Twitch’s ability to drive game sales that it bought the service for nearly $1 billion in 2014. Influencers on the channel feature products they like, earning commissions on any resulting sales. Twitch has proved an easy way to tap a big potential audience. 3. Create the right mix of content. 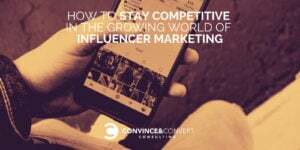 Think of influencer marketing like you would content marketing: It provides just as many types of content, and each content type connects you to a different portion of your audience. In other words, don’t rely solely on short-form content platforms like Snapchat or Instagram. Although these platforms have viewer influence, depending exclusively on them means you might miss out on opportunities that only long-form content can provide. Instead, consider using sites like Medium to strike the right balance with your mix of content. Unlike Snapchat or Instagram, Medium provides a channel for your audience to dig deeper into topics. You should always be curating marketing collateral, and any good collection has more than one form of content. The real trick is knowing when to use a picture, video, article, or even email to further the conversation. Influencer marketing is quickly becoming the most powerful weapon in a marketer’s arsenal of strategies. Using it effectively comes with a learning curve, and it can take time, energy, and a whole lot of research to find the right influencer to promote your brand. But once you do, it can be a match made in heaven for your bottom line. Jeff Epstein is the CEO and founder of Ambassador, a trusted referral software company that empowers brands to increase customers, referrals, and revenue by leveraging and scaling the power of word of mouth. Epstein is a lifelong entrepreneur with a law degree from Chicago-Kent College of Law, Illinois Institute of Technology, and a degree in business from Michigan State University.